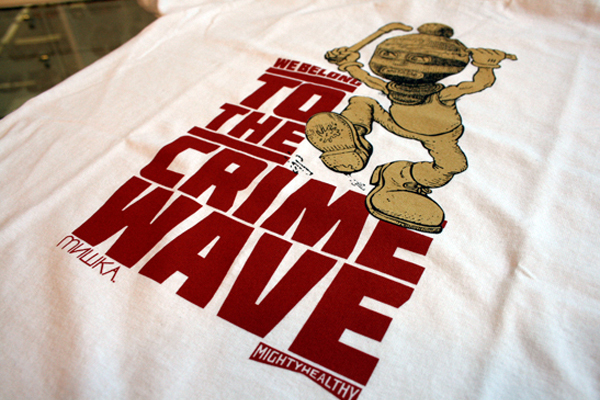 New York city based brands Miskha x Mighty Healthy recently sat down and worked out this collaboration. The shirt features the phrase "We Belong To The Crime Wave" featuring kids with crowbars. Not a lot of details at the moment but should pop up on the Mighty Healthy online store in the next couple weeks if you can't wait you can cop the black tee now at The Giant Peach for $28.